JAMES FOY PLUMBING & HEATING ENGINEERS is a trading name of JAMES FOY GROUP LTD registered in England and Wales, Company no. 8846119. James Foy Plumbing was established in 2009 in Liverpool (we also cover all of Merseyside). 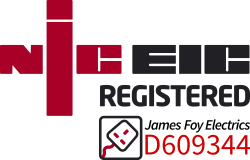 We are affiliated with James Foy Construction & James Foy Electrics. Our teams, combined, contain centuries of experience. Our company has built a solid reputation with our private customers, including large companies known throughout Liverpool & the world. We operate solely in Liverpool & Merseyside. We are very familiar with our local community and area, with all our engineers being from Liverpool themselves. Our reputation has developed from our high-quality workmanship, customer satisfaction, reliability and fairness. This has resulted in significant amounts of our work being generated from recommendations & repeat business. This wealth of expertise means that we can offer customers solid advice and solutions to their water/heating, bathroom and plumbing requirements. We undertake jobs of all sizes from boiler repairs & bathrooms to large commercial heating installations. All our plumbers are fully qualified and the gas engineers are Gas Safe® registered. All our workmanship comes with a 12 month guarantee along with component manufacture guarantees. The agreed price will be the absolute total. There are no hidden extra charges. Our price is our word. If the price is required to change we will inform you beforehand. This is usually due to a customers requirements changing. We will arrange to visit at a time convenient for you, our customer. We will notify you with an accurate time/date when our engineers will arrive. All our gas engineers and business are Gas Safe-registered and fully qualified to undertake the required work. Our engineers will be able to show you their Gas Safe register cards. Gas Safe Register is the official list of gas engineers who are qualified to work safely and legally on gas appliances. By law, all gas engineers must be on the Gas Safe Register. It replaced CORGI. Only use a Gas Safe registered engineer to fit, fix or service your appliances and always check the engineers Gas Safe Register ID card. For more information and to find and check an engineer go to www.GasSafeRegister.co.uk or call 0800 408 5500. Take care, be Gas Safe. We will notify you of the visiting engineers name which he will identify himself with. This is for your added security. If you require added security we can setup an agreed password in which the engineer will present (you will know the password). You can download a list of our services.